Market tends to surprise as always. This becomes yet another attempt at 5700-5750 and 19100 trendline resistance. 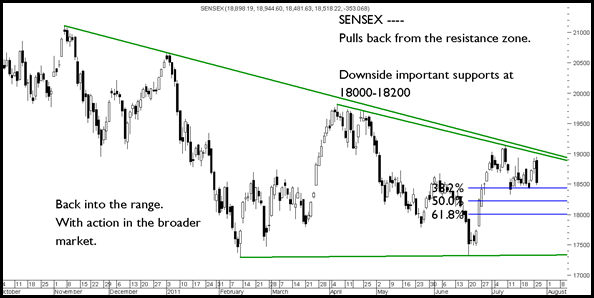 So till we dont start closing above the trendline levels will make the markets sluggish broadly in 18000-19000 levels. At current levels the broader market seems more interesting as the action is in quality mid and large caps. For example Wockhardt discussed few days back has seen a follow up move , BOC India mentioned at 270-280 levels made a move to 315 today it still remains a good defensive pick with good chances of delisting. Buy closer to 270-290 if it dips. 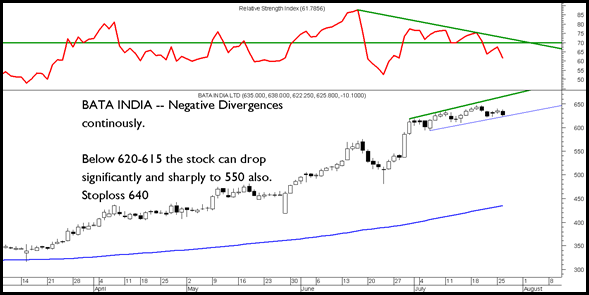 The stock is showing huge negative divergences any drop below 615-620 can lead to a sharp fall in the stock to even 550 levels. Showing signs of topping out unless its able to cross 640 levels. So one can short on breakdown for a day trade. 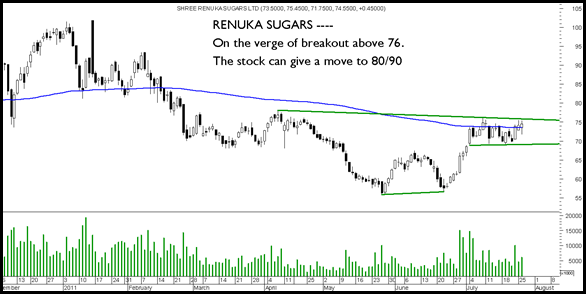 The stock is nicely placed for a breakout above 76. Can give a quick move to 80 and further to 90 in few more weeks. Seems something is cooking in Sugar stocks as Balrampur chini, eid parry also look interesting. 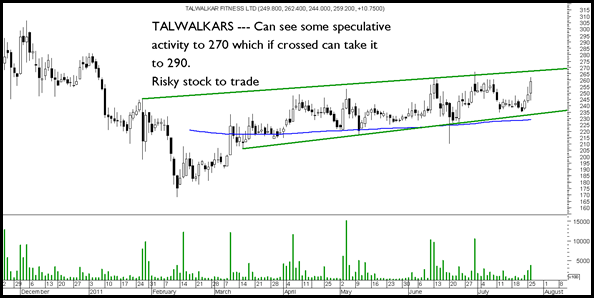 Although this is a difficult stock to trade as very volatile. Real Estate – RBI kicks the 80:20 scheme . Things to read before you buy a House. Hi Nooresh, whats the view on Dhunseri Petro currently. The stock was discussed around Sep last year for long term.